1. Have they been in business for 10 or more years under the same company name? 2. Can they supply at least 20 local references that you can call? Directly, so that your home is covered in the event of an accident causing damage to your property (It happens). 5. Are the painters they are going to send to paint your house ACTUAL employees of the company? (If not and they use sub-contractors, do their sub-contractors have valid Workers Comp Insurance? 6. Are they experienced painters employed full time, year around professional painters who have passed background checks? 7. Have they had their business bank account for at least 10 years. 8. Do they have over 30 5 star reviews (Google/Facebook/Written) and any video testimonials? 9. Do they maintain accounts with local suppliers and do they have letters of good standing? 10. Are they an active member of any local organizations such as the Chamber of Commerce, Rotary, Exchange Club? 1. Do they offer a written warranty, if so how long is their warranty? 2. Do they offer touch ups for the life of the warranty? 3. Are they reachable 12 hours a day via the owner’s direct extension? 4. Do they have a company policy to return calls within 3 hours during normal working hours? 5. Do they give you a written painting process for interior and exterior work? 6. Has the lead painter supervised and or painted at least 200 projects? 7. Have they successfully completed at least 1000 painting projects since 2008? 8. Do they provide a pre-project checklist with helpful hints? 9. Do they provide approximate start date and completion date for your project? 10. Do they properly reinstall all door, window, and electrical hardware? 1. Do they provide a written quote with a price guarantee for the work specified? 2. Do they provide a walk through with the crew lead upon completion of the job? 3. Do they provide a comprehensive customer satisfaction survey upon completion of the job? 4. Do they provide you with a warranty on all material and labor? 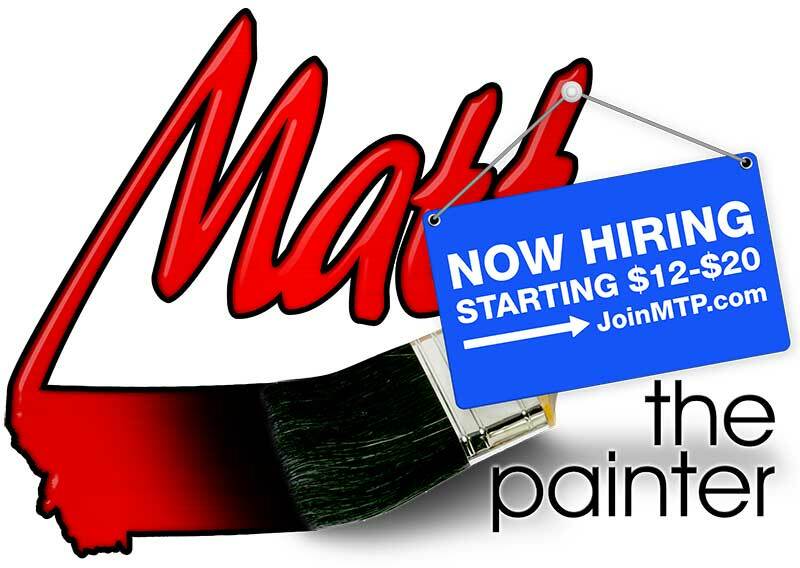 Matt the Painter Proudly Answers, “YES!” To All 25 Questions; and will provide both Liability Insurance and Workman’s Compensation Insurance Certificates, helping you to sleep soundly at night knowing that in the event, if your home is damaged, or worse somebody is injured, that you are protected.